Imagine getting through your busy day without hands or legs. Picture your life without the ability to walk, care for your basic needs, or even embrace those you love. Meet Nicholas Vujicic (pronounced VOO-yee-cheech). Without any medical explanation or warning, Nick was born in 1982 in Melbourne, Australia, without arms and legs. Three sonograms failed to reveal complications. And yet, the Vujicic family was destined to cope with both the challenge and blessing of raising a son who refused to allow his physical condition to limit his lifestyle. The early days were difficult. Throughout his childhood, Nick not only dealt with the typical challenges of school and adolescence, but he also struggled with depression and loneliness. Nick constantly wondered why he was different than all the other kids. He questioned the purpose of life, or if he even had a purpose. According to Nick, the victory over his struggles, as well as his strength and passion for life today, can be credited to his faith in God. His family, friends and the many people he has encountered along the journey have inspired him to carry on, as well. Since his first speaking engagement at age 19, Nick has traveled around the world, sharing his story with millions, sometimes in stadiums filled to capacity, speaking to a range of diverse groups such as students, teachers, young people, business professionals and church congregations of all sizes. Today this dynamic young evangelist has accomplished more than most people achieve in a lifetime. He’s an author, musician, actor, and his hobbies include fishing, painting and swimming. 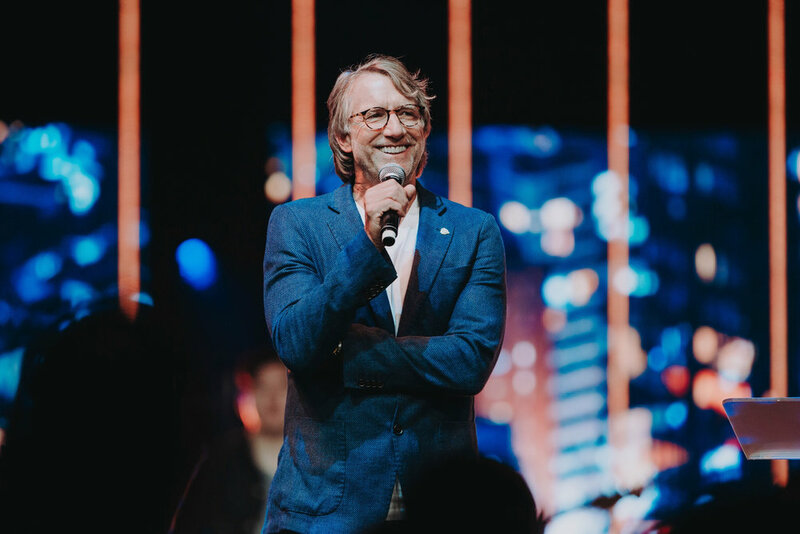 In 2007, Nick made the long journey from Australia to southern California where he is the president of the international non-profit ministry, Life Without Limbs, which was established in 2005. Nick says, “If God can use a man without arms and legs to be His hands and feet, then He will certainly use any willing heart!” Nick’s latest foray into radio will expand his platform for inviting men and women all around the world to embrace the liberating hope and message of Jesus Christ. Heidi’s greatest passion is to live in the manifest presence of God and to carry His glory, presence, and love to a lost and dying world. She longs to see others laying their lives down for the sake of the Gospel and coming home to the Father’s love. Rolland and Heidi Baker founded Iris Ministry, now Iris Global, in 1980. In 1995 they were called to the poorest country in the world at the time, Mozambique, and faced an extreme test of the Gospel.. They began by pouring out their lives among abandoned street children. As the Holy Spirit moved miraculously in many ways, a revival movement spread to adults, pastors, churches, and then throughout the bush, all across Mozambique's ten provinces. Heidi is now "Mama Aida" to thousands of children, and oversees a broad holistic ministry that includes Bible schools, medical clinics, church-based orphan care, well drilling, primary schools, evangelistic industries, cottage farms, widow’s programs, and healing outreaches in remote villages that includes a network of hundreds of churches. She earned her BA, MA degrees from S.C.C., Vanguard University, and her PhD from Kings College, University of London. She is calling for a passionate tribe of believers who will pour out their lives for Love's sake and bring all children of all ages home to the Father's embrace! Australian Darlene Zschech is acclaimed all over the world as a composer, worship leader, pastor and speaker, most notably for her involvement in the music from Hillsong Church, Sydney over many years. Although she has achieved numerous gold albums and her songs are sung in many nations of the world. Darlene’s success simply stands as a testimony to her life’s passion for serving God and people with all her heart. Alongside her husband Mark, they are the Senior Pastors of Hope Unlimited Church (HopeUC) on the Central Coast of New South Wales, Australia. As a composer, Darlene is perhaps most famous for the chorus “Shout to the Lord,” a song that is sung by millions of churchgoers every week and has been covered by many other artists. “Shout to the Lord” was nominated for Album of the Year for the 1997 Dove Awards and was nominated for Song of the Year for the 1998 Dove Awards. In 2000, Darlene received a Dove Award nomination for Songwriter of the Year and received the International Award for influence in praise and worship. We had 13 people at our first service. The congregation grew rapidly and we moved buildings, bought land and built a school. We began planting churches around Sydney, then Australia, then various parts of the world; we've now grown to close to 500 congregations in our movement. We’ve started C3 College, a television program, Your Best Life, and Oxford Falls Grammar School, all on around 25 acres at Oxford Falls, Sydney. I’ve always been passionate about the arts playing a major role in church to make her contemporary and relevant to our current world. The C3 College Creative Arts stream has developed and graduated thousands of musicians, worship leaders, song writers, graphic artists, dancers, actors and film makers. I myself also paint and exhibit in various venues and cities. I love to write, so I’ve mixed these two elements together in books like 'Inspired to Pray', 'But God' and '24 Hours That Saved The World – The Gospel of John in Art'. My other books include 'Faith', 'Peace', 'Moving in the Spirit', 'Leadership Excellence', 'You the Leader', along with my latest book, 'Leadership 101'. I love the local church. I believe it's the hope for the world. Ben Fitzgerald is the Leader of Awakening Europe and GODfest Ministries. He spends a lot of his time traveling abroad as an Evangelist and for several years was a Pastor at Bethel Church in Redding, California. Originally from Melbourne, Australia, he met Jesus in an encounter that deeply changed him late in 2002 whilst he was dealing drugs and extremely broken. Since then Ben has lived passionately about one thing, showing the world Jesus in his everyday life and taking the good news of the Kingdom to the nations. Ben loves to help people live in God’s fullness of freedom and identity and has a deep conviction that the future of nations will be transformed by radical believers living free and proclaiming Jesus boldly.